In the heart of western Millard County, surrounded by three nearby HMAs. A little-known desert gem, easy to find and travel through, with amazing scenery and fantastic mustang viewing opportunities. Some 75 miles west of Delta, nestled between the Old Highway 6 & 50 and the New, lies a herd area that gave me one of the most breathtaking experiences of my life. I ventured in from the new highway on a drive-through between the King Top and Confusion HMAs, opting at midpoint to take the road to Skunk Spring (how could I resist a name like that?). The trail took me down a long, narrow canyon, with ample juniper and pinyon groves rendering the roadside remarkably green by desert mountain standards. A few miles in, I straightened out of a leftward curve to see two ponies charging down the hillside, directly toward me. Hitting the brakes, I grabbed my camera, alternately gazing directly and through the lens as they reached the canyon floor, dashing by not 20 yards beyond my passenger window. I kept my foot on the brake pedal as they veered onto the road ahead of my Jeep, letting them proceed without fear of being pursued. 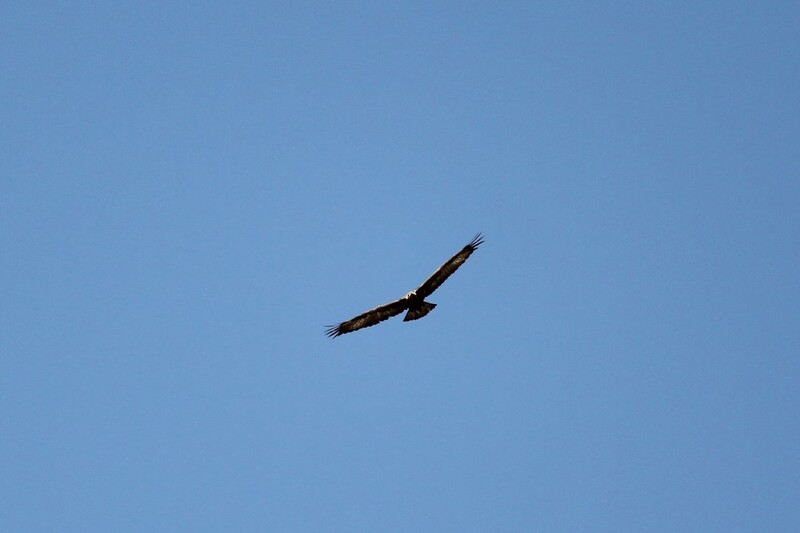 As they disappeared around a bend about a quarter-mile ahead, I hurried forward in hopes of another glimpse. A short distance beyond, this magical pair reappeared as if from nowhere. 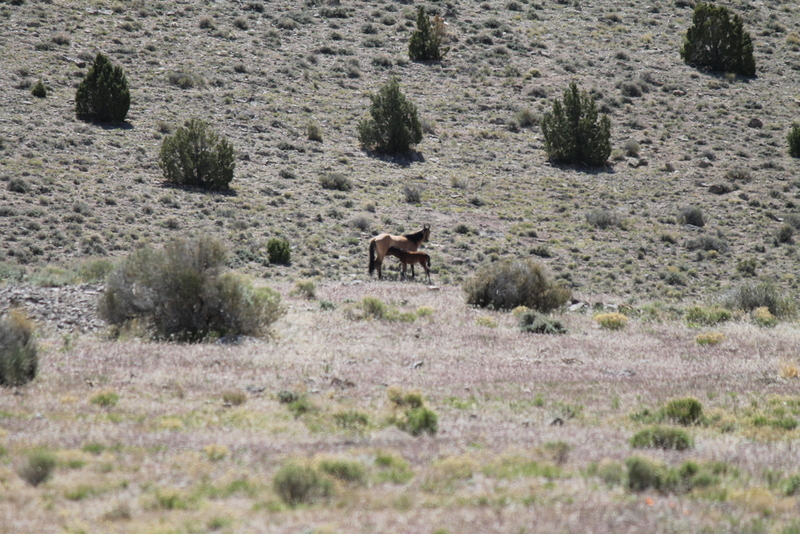 Flashing past my left side, they raced through the sagebrush at full gallop toward the top of a hill, jumping lightly to clear taller shrubs, then vanished forever beyond the crest. These photos do not begin to convey the thrill and awe of this encounter -- their grunting breaths punctuated by flashing hooves pounding the sun-baked earth; the furling and swirling of manes and tails through self-generated breeze; the grand power of muscular propulsion swathed in perfect fluidity of motion. For a precious span of seconds, in that isolated corridor through an empty corner of the world, the entire universe amounted to the three of us and that narrow, enchanting space. 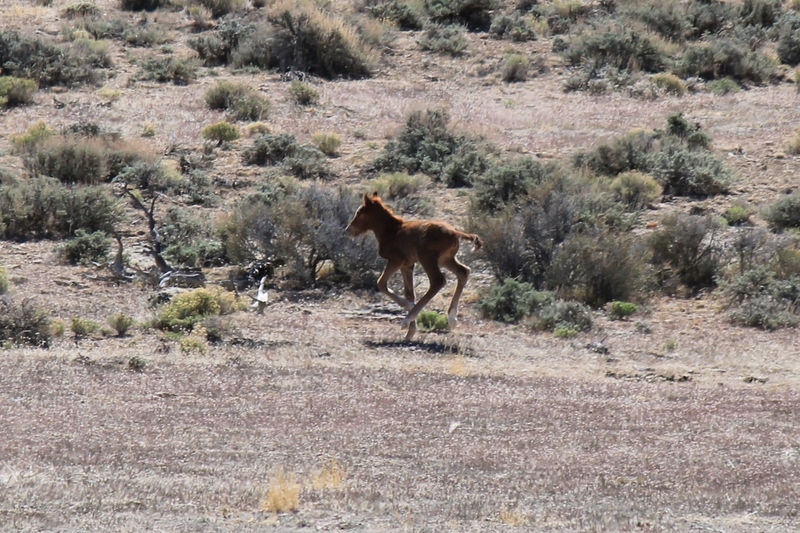 Though I intend to remain a wild horse tourist for the rest of my years, I may never have another encounter quite like this one. For that, I will always love Conger. This HMA can easily be included as a waypoint between other nearby herd areas, or as a primary destination from either Delta, Utah or Baker, Nevada. The Border Inn, just over the Nevada state line on US 6 & 50, includes a fuel station and convenience store. This is one of three herd areas included in the House Range Loop all-day tour. From Delta, take US 6 & 50 a little more than 70 miles west to Little Valley Road. Watch for the faded wooden sign around mile marker 16. From Baker, take the same highway about 16 miles east from the state line. Little Valley Road is a wide, well-maintained gravel road, presenting no problems for standard passenger vehicles in dry conditions. Follow this road northward about 8.7 miles, until you reach a fork with a sign indicating Conger Spring to the left and Skunk Spring to the right. Travel west on US 6 & 50, about 10 miles from Delta's western city limit, turning north onto the Old Highway 6 & 50. This unpaved road is the original 6 & 50 route, before the current route was laid down and paved in the 1950s. The route is not signed and easy to miss, so watch for it a few hundred feet east of mile marker 76: a gravel road teeing northward from the paved highway, with a stop sign at the pavement's edge and cattle guard a little further in. The gravel road begins in a northerly direction for about 3/4 mile before turning westward. A little over 12 miles down the road, the path turns southward around a hill for about 1-3/4 mile before turning west again. 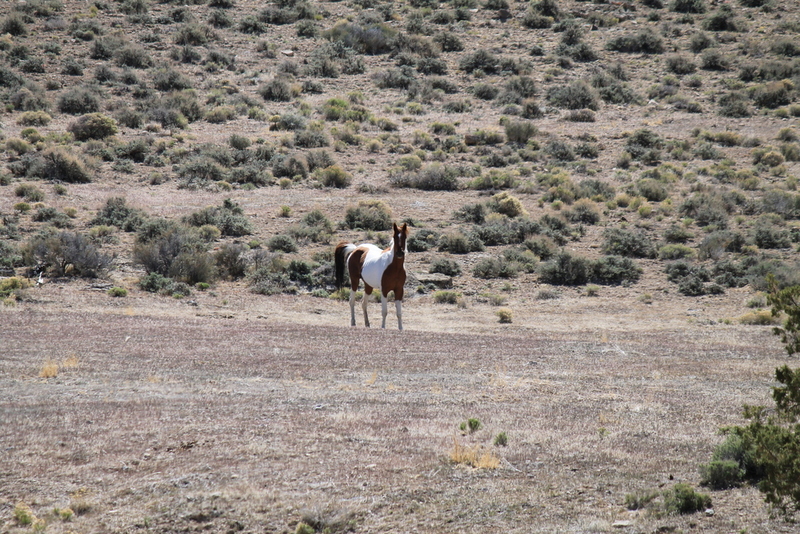 The next 17 miles to Marjum Pass comes within four miles of the Swasey HMA's southern boundary, and I have seen Swasey mustangs grazing along this stretch of the old highway. The road winds for about 2 miles through the valleys and stunning narrow passages of Marjum Canyon before straightening out in a northwesterly direction across the Tule Valley playa. Another 13 miles -- just before the road turns toward true west again -- turn south at the sign reading "Skunk Spring 3." This places you at the northern end of Route 5 through Camp Canyon. Numerous ATV trails web through this area. A copy of the BLM's map of these routes (pdf version available here) is highly recommended. The encounter I described in the first few paragraphs of this page took place along BLM Route 5 through Camp Canyon. This is the Skunk Spring branch from the fork mentioned in the directions above, running 10-1/2 miles to Skunk Spring, and ultimately to Old Highway 6 & 50. This is a well-groomed road, affording easy travel through a beautifully verdant canyon, with a surprising population of conifers interspersed among the junipers and sage. A short hop east from Skunk Spring places you on the other side of the ridge, in Ledger Canyon. Route 6 will take you all the way back to the southern side of Conger Mountain; however, the trail is a bit rougher, and you'll want 4WD about 6 miles in. One late April morning, 2015, I spotted three separate bands within three miles south of Skunk Spring, each with a young, wobbly-legged foal. The left-hand branch of the Conger/Skunk Spring Fork leads to Conger Spring, about 1-1/2 mile north. 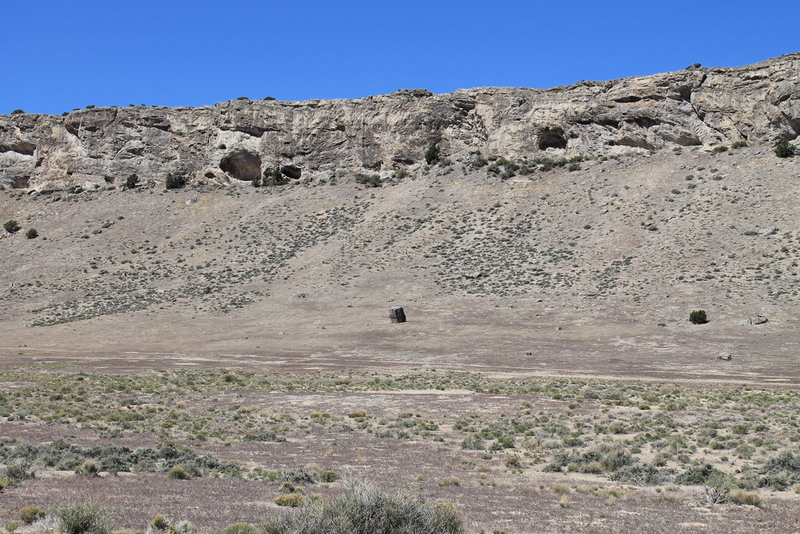 The BLM web page for this location suggests Conger Spring as a good viewing location, but I've had much better luck to the east, in Camp and Ledger canyons. 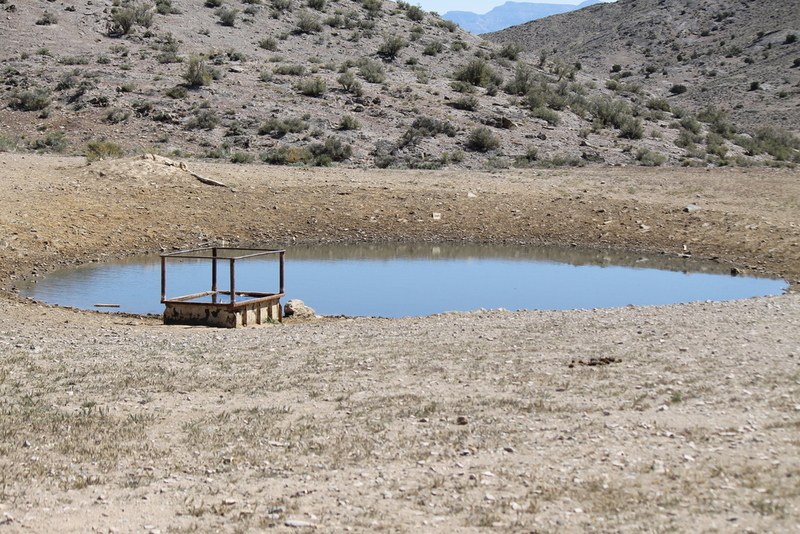 Knoll Spring, a few miles west on the Old 6 & 50, is also mentioned on the BLM site. Although I am sure bands roam throughout this area over the course of the year, I have yet to spot herd members on the western side of Conger Mountain. 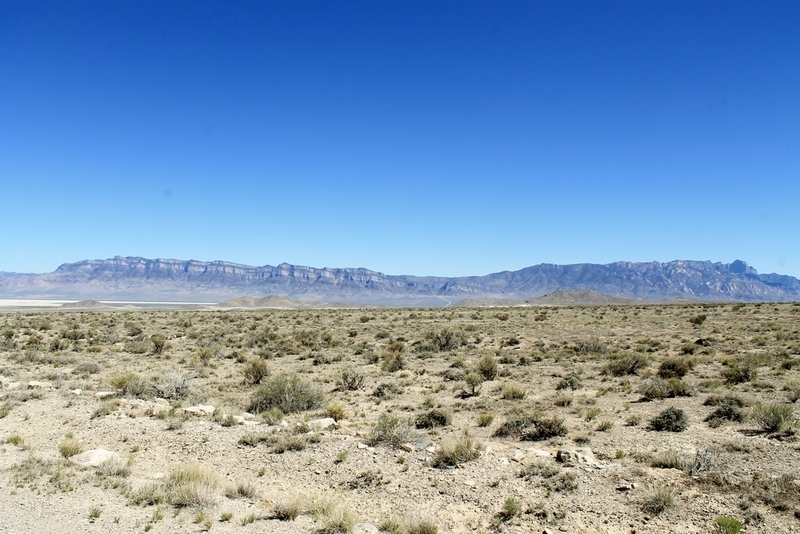 Conger stands about 16 miles east of the Nevada state border. Baker, NV provides the nearest services, including gas, groceries and a small motel. Baker also provides access to Great Basin National Park.